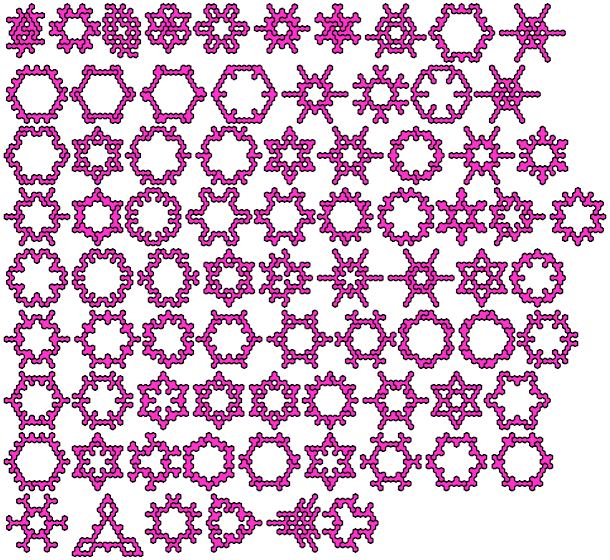 An octahex is a figure made of eight regular hexagons joined edge to edge. 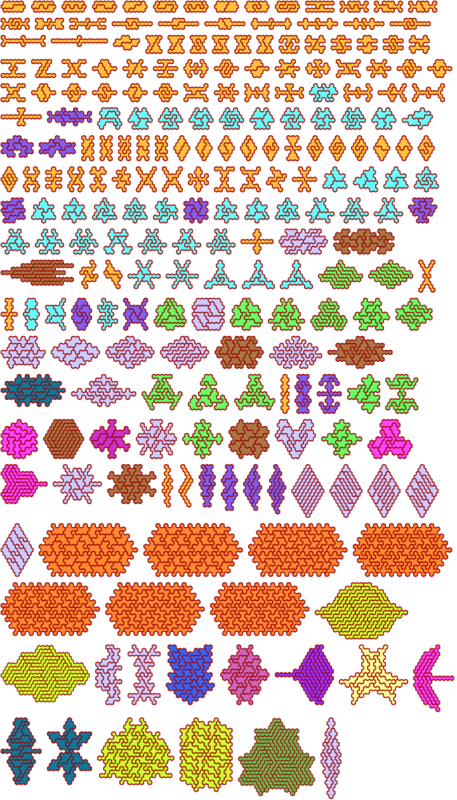 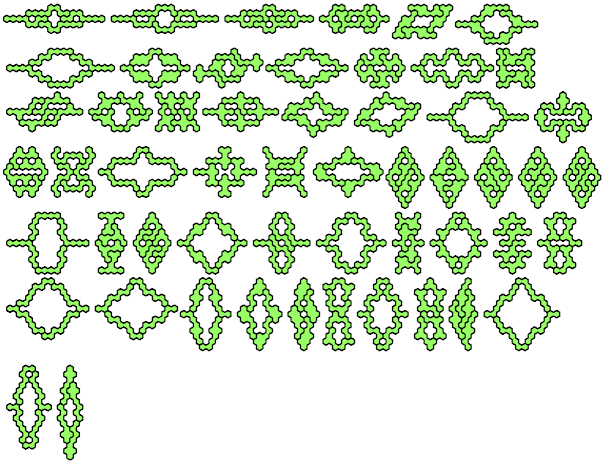 A Galvagni figure is a figure that can be tiled by a polyform in more than one way—a kind of self-compatibility figure. 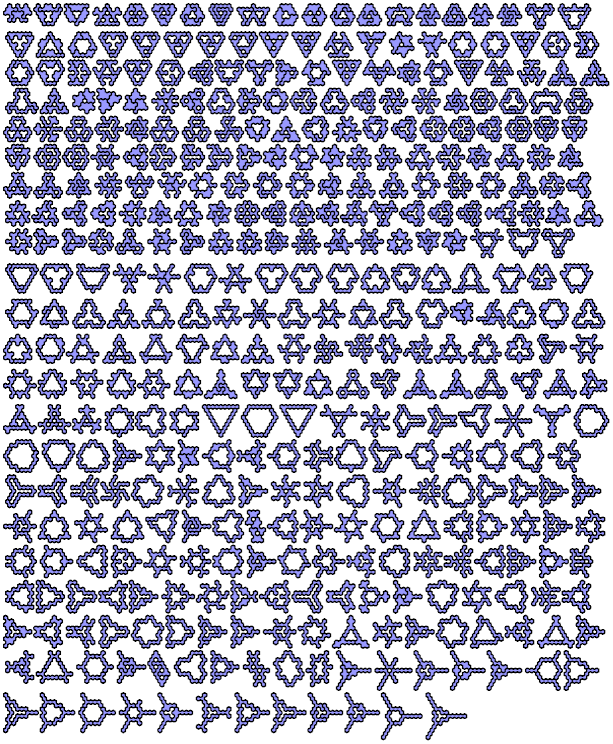 A Reid figure is a Galvagni figure without holes. 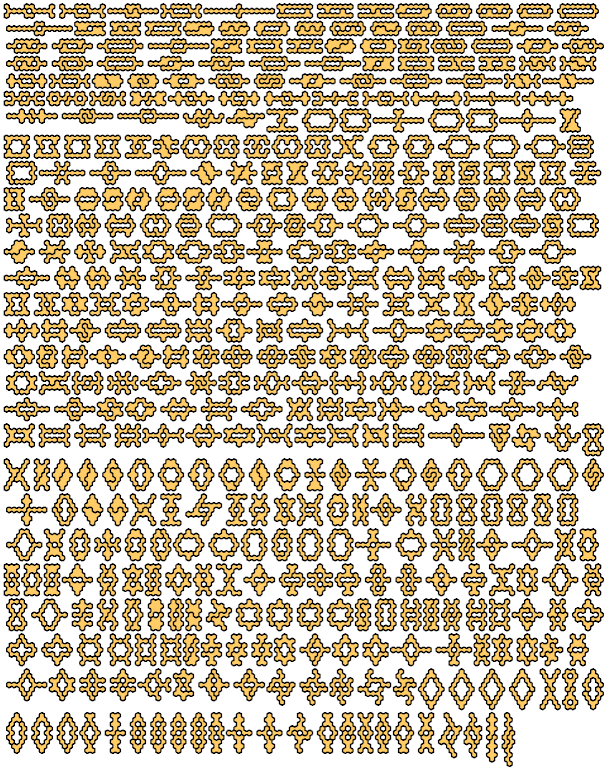 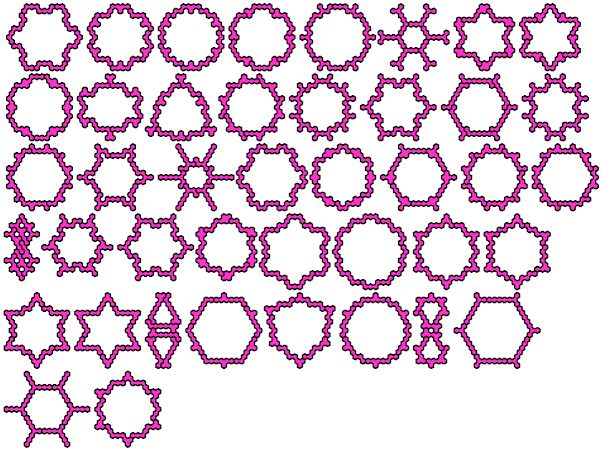 Here are known minimal Galvagni figures for octahexes. 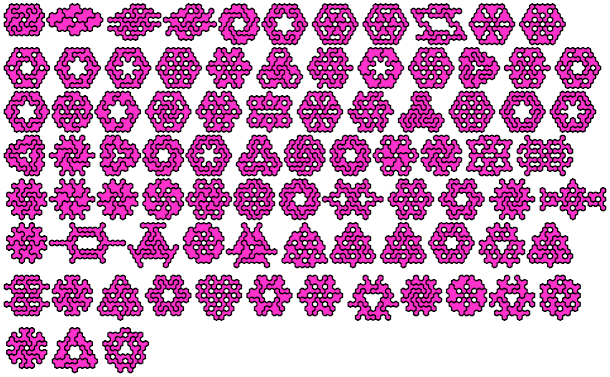 For heptahexes, see Galvagni & Reid Figures for Heptahexes. 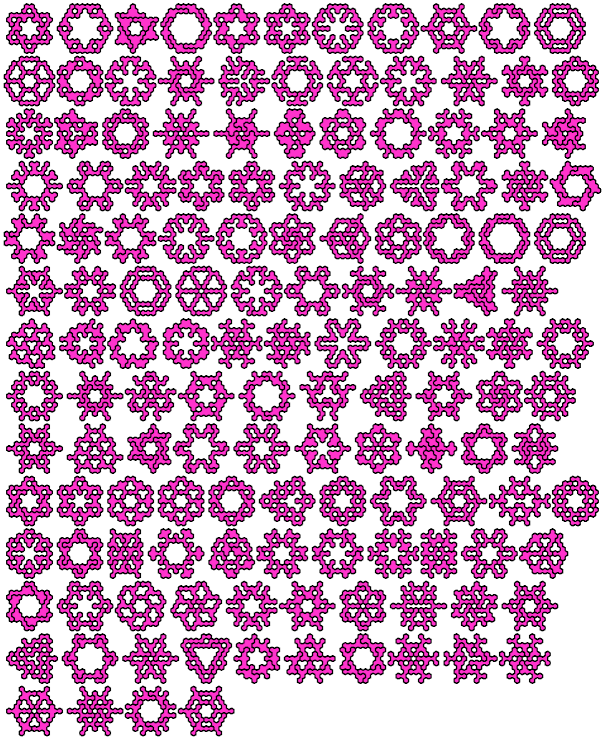 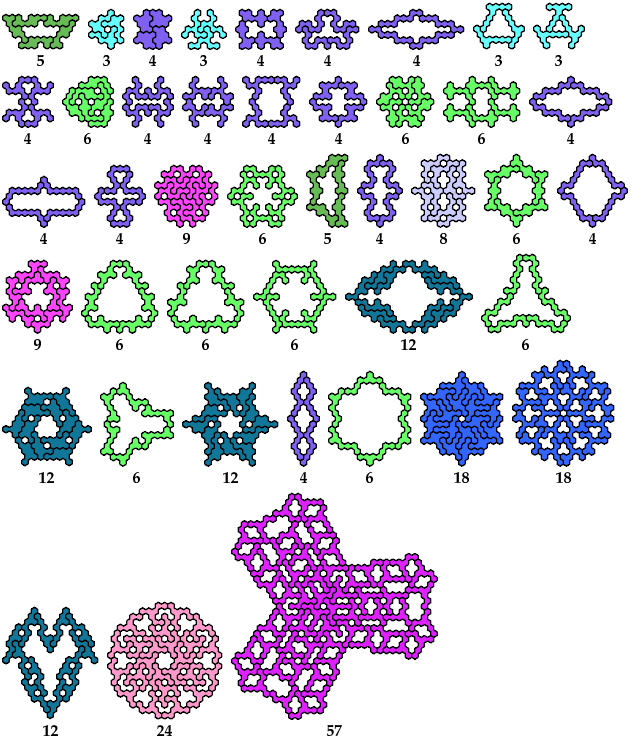 For hexahexes, see Galvagni & Reid Figures for Hexahexes.